Usually, it happens that whenever people think about going out somewhere they spend a huge chunk of the time thinking where to go. Well, this question takes bit more time when you are planning to hang out with your partner in Delhi. As for that, you may need a place which is happening and safe too, where you spend quality time and enjoy. To make your planning easy and help you in deciding your hangout spot, we have come up with a list of some selected places in Delhi where you can head towards with your loved one without thinking twice. The places are so nice that either of you will not dislike them. Below is the list of Places to hang out with your partner in Delhi, go through the article and select yours. Sounds strange! You might be thinking that how can such a crowded family holiday spot is apt for spending the day with your loved one. Let me tell you the fascination of this place. 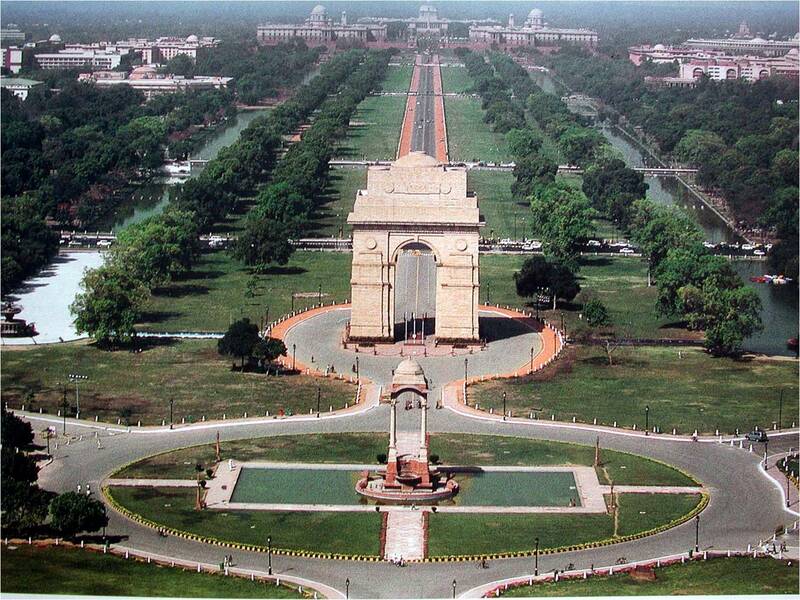 India gate complex has a sense of liveliness in its ambiance. You can see people enjoying merrily that too with a sense of simplicity. The place remains crowded during the day. You can be with your partner here enjoying the liveliness of the atmosphere, However, if you don’t want to be amid the crowd this place will not let you down. As you can visit there at night when it turns into one of the best places for couples. The aura and calmness of this place are so enchanting that you will remember it forever. Plus it is the safest place in Delhi so you can visit there at night without any security concerns. Delhi is an open market, especially known for crafts. The thing that makes the market a place suitable for couples is the ambiance it has. The artisans, the stalls, eateries are simply vibrant. The place is noisy and crowded yet lively and beautiful. Once you enter the open-air market you may not get privacy but you can enjoy many other things. After shopping as per your interests you can rest yourselves with delicious food that is served at the eateries and simply get indulged in talking with each other and spend a quality time. The mix of tasty food and nice shopping is always a hit. After your meals, you can head towards Naga and Bengal pavilion for a quiet stroll. Connaught place lovingly called CP is one of the most popular places for hangout in Delhi. Couples can spend a good time in the inner circle of Connaught place which is packed with varied eating and shopping outlets. The white round shaped colonial structure of the market is attractive enough to make you feel good The ambiance is full of liveliness. The crowd emanates a sense of zest as mostly, people visit CP for refreshing themselves. The crowd, the outlets, the restaurants and cafes, everything in this place is just apt to make your day. You can relax and enjoy each others company in Central Park. Best Places to hang out with your partner in Delhi. This one is a truly beautiful place where you will definitely love to visit again. The Garden of Five senses is not merely a park or a garden, it is a perfect hangout spot having eateries, solar energy parks, pools with water lilies, bamboo courts, herb gardens and theme based designs. The landscape is designed immaculately yet with such a perfection that one can simply not resist praising the beauty of the garden. It lies in the Saiful Ajaib locality near Saket. You can enjoy a long walk with your loved ones amid the enchanting greenery and impeccable landscape. The garden is one of the best places for couples to hang out. Tired of being together in the hustle bustle of your city? This is the time when you may be desiring for heading to a place where you can get peace and privacy. The Ridge Road in the North Campus is the perfect place for you. You can move to the road without thinking twice as you can enjoy a long walk and each others company without being disturbed by noisy traffic and nasty crowds. Plus the area is beautiful too, the greenery is enough to make your mood calm and delighted. To get a different experience of tranquillity in Delhi, Ridge Road is truly perfect. Apart from long walks on the deserted yet alluring roads, you can explore Baoli near Pir Ghalib and Mutiny Memorial too. Places to hang out with your partner in Delhi.